We all deserve a delicious break from important occasions and everyday situations now and then. Our confectionery can help with private and business events, at informal or carefully prepared meetings with relatives, clients or employees. Our Café’s sophisticated antiquity, fun atmosphere and sweet lightness create a unique atmosphere of prestige. Platters of delicacies, arranged depending on the time of day, the nature of the meeting and the season, are an attractive complement to any meal. 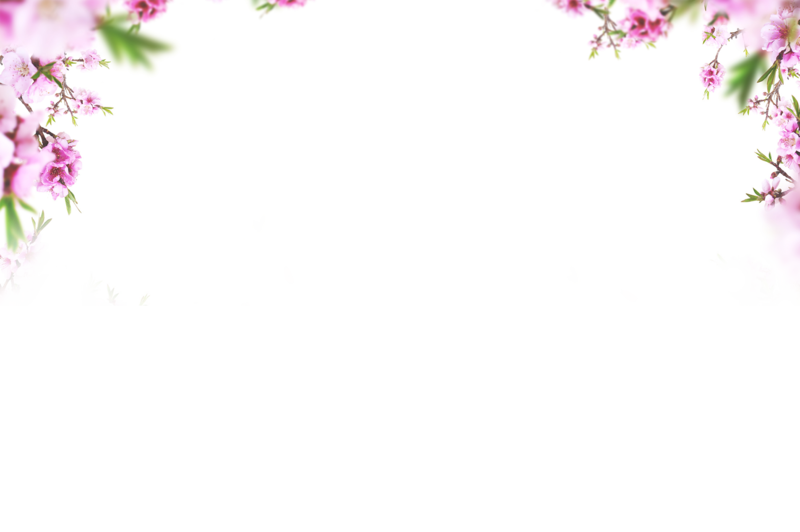 We want to make your wedding receptions, christenings, communions and jubilees an unforgettable experience, so let’s look at the unique details. How about a layer cake with personalized decorations, pralines, truffles, desserts, macaroons and cakes all created to suit the theme and style of the event, with appropriate color palettes and decorations? Sweet treats with dream flavors, initials, dates or even photos will delight guests on the sweet side of a meeting, while pralines and truffles make a superb welcome gift. 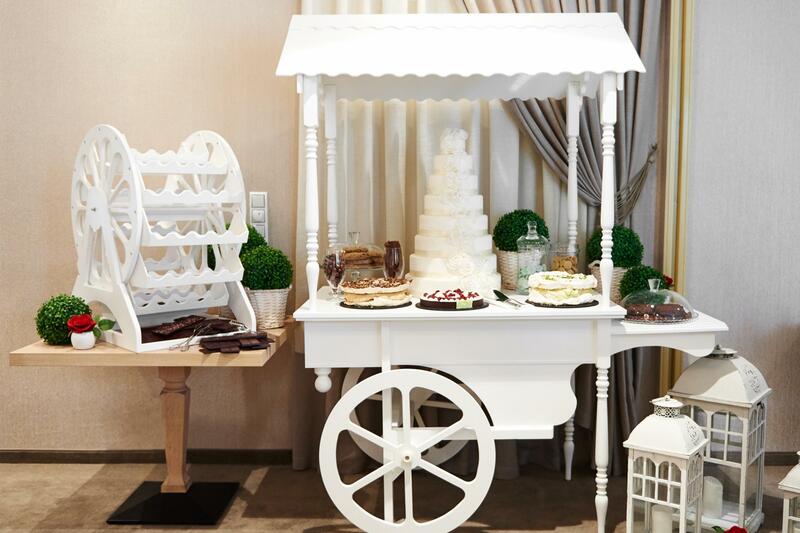 Sweet buffets at the Czekolada Café can be arranged anywhere, displayed on a rustic cart, a stylized mill wheel or at specifically-themed stations. "Candy Bar to uroczy pomysł na urozmaicenie spotkania. Baśniowy wóz zabierze gości do świata słodyczy w klimacie vintage." 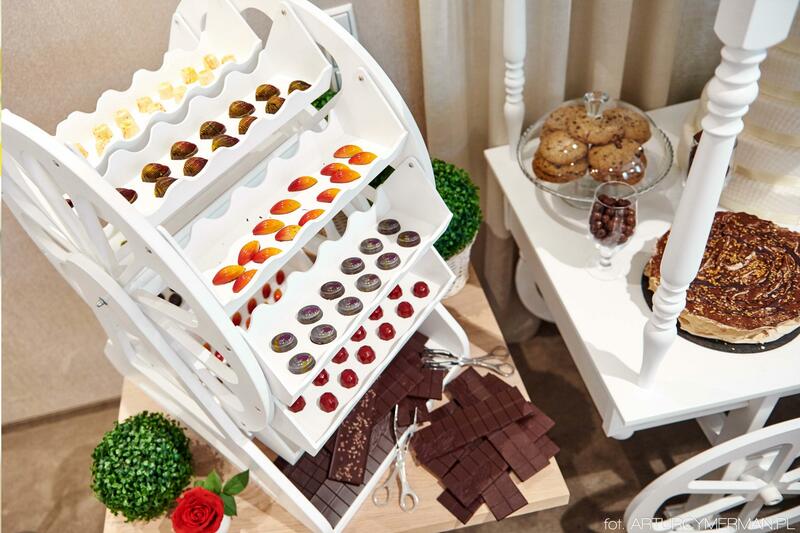 This is a splendid way of serving desserts or displaying cakes, desserts, muffins, macaroons, mousses, pralines and truffles during a meeting. An additional attraction may be a chocolate fountain with seasonal fruits, stations with waffles, cotton candy and ice creams will definitely be admired but dessert lovers of all ages. 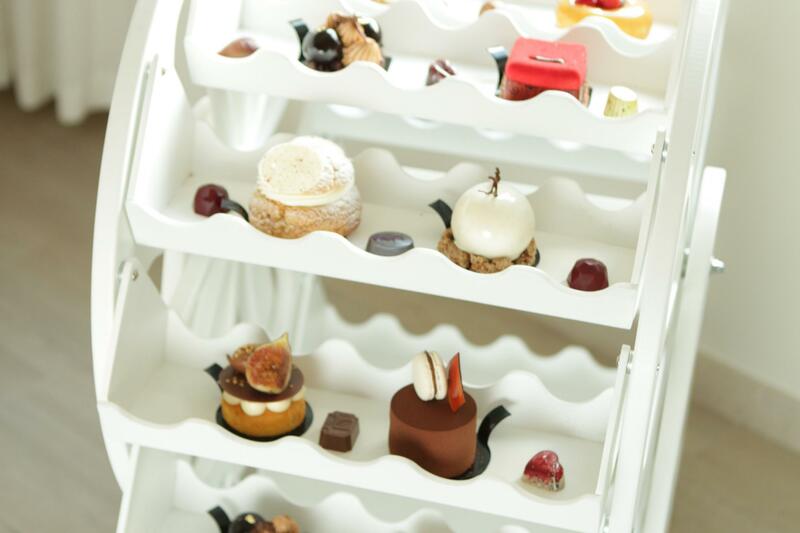 for displaying desserts, cupcakes, macaroons, chocolate pralines and truffles. 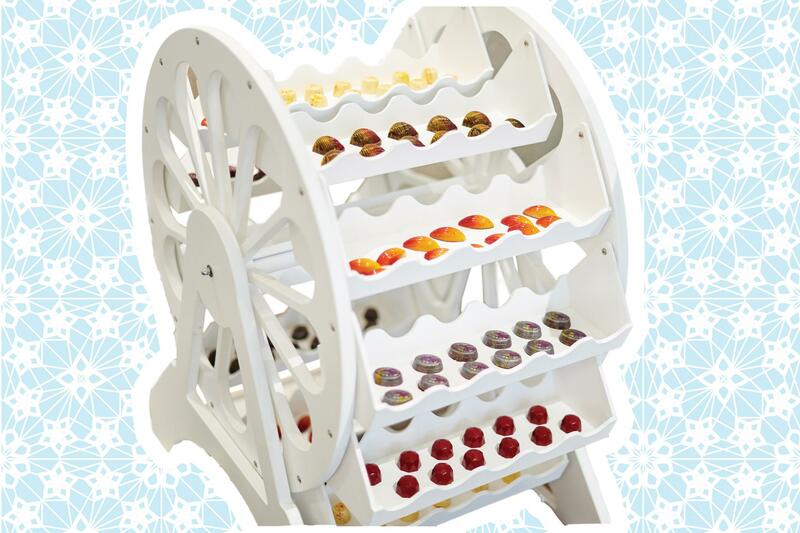 - for displaying desserts, cakes and layer cakes in a beautiful way. This is a great attraction in itself, and will spice up any events, family celebrations or company meetings. 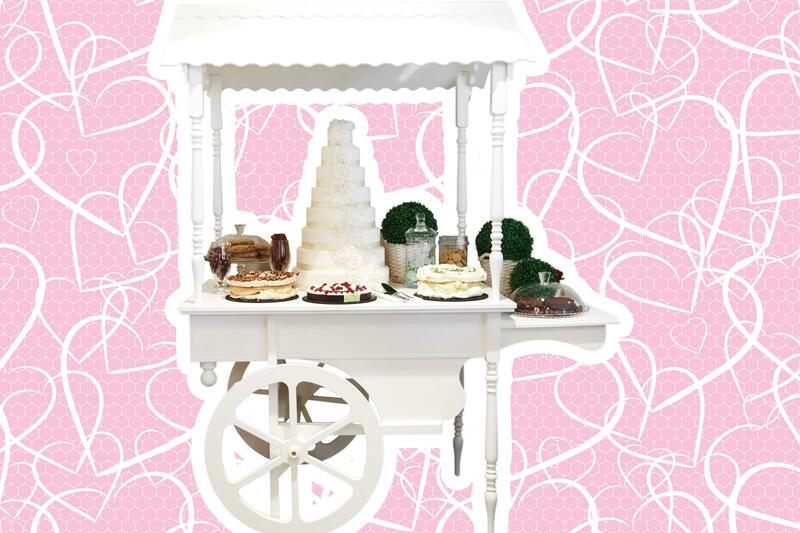 All of our sweet buffets can be extended, and composed of various types of desserts, cakes and other sweets. 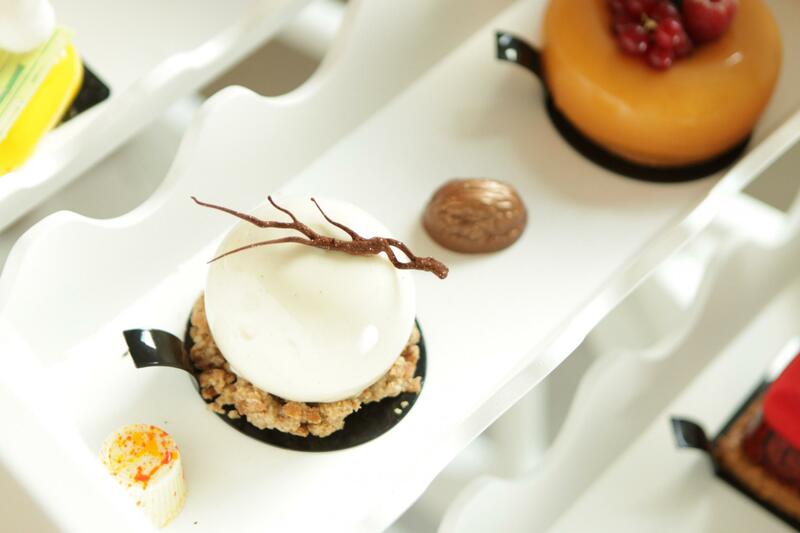 With a sweet buffet, you’ll have the opportunity to enjoy a wide variety of flavors in an unconventional way. 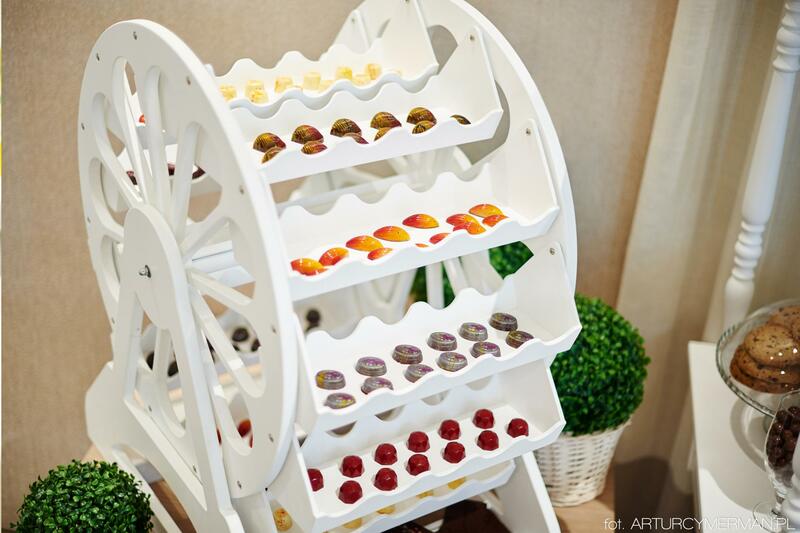 Our sweet buffets are unique, because all of the products are sourced entirely from our own confectionery – a combination of the years of experience of our Chocolate Master, Michał Iwaniuk, and the highest quality ingredients. 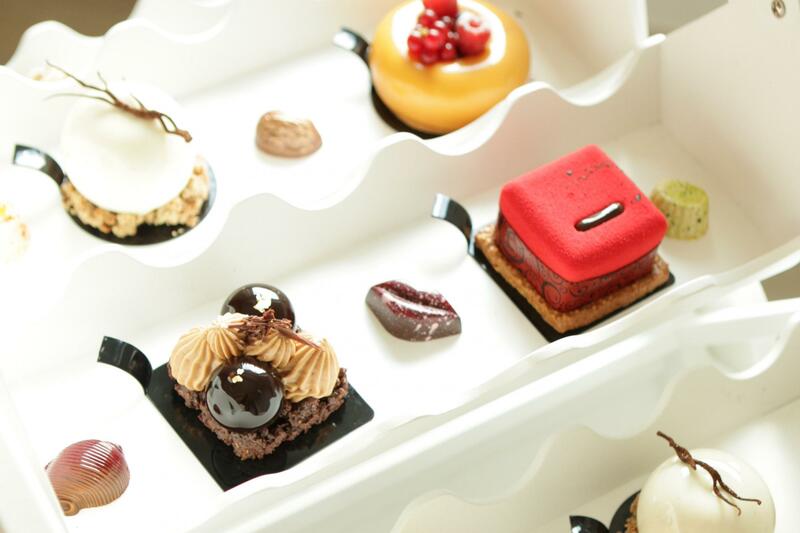 These include Callebaut Belgian chocolate, fresh fruits and various other natural products. We take an individual approach to all of our Guests, and great care with each order. This means that all of our products and services are always of the highest standard. Chocolate fountain with a selection of seasonal fruits. Delivery of our buffet setups and products happens on the day of your event, with collection the following day. Delivery of the buffet setups is free up to 30 km from the Hotel. A BUFFET FULL OF SWEETS!